We recently received the following announcement of an upcoming conference at New York University that may be of interest to our readers. The Manuscript Cookbook Conference, will be held May 12-13, 2016 at Fales Library and Special Collections, New York University. The Manuscript Cookbook Conference will bring together professional and amateur researchers with an interest in manuscript cookbooks from many centuries. Tens of thousands of these documents are in existence, many now listed online in the ongoing Manuscript Cookbooks Survey database. Some have ended up in libraries and historical societies, while others remain in private collections. 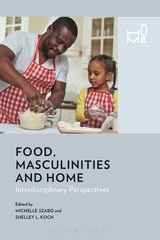 They are invaluable resources for scholars in a variety of fields, including history, economics, anthropology, nutrition, sociology, and, of course, food studies. Unlike published material, manuscript cookbook can honestly be called unique, even though many of them, especially those written after 1800, include recipes lifted verbatim from published sources. They can often offer better insight into historical diet, cooking methods, available ingredients, and taste preferences than printed works by professional chefs or cookbook writers. There is no registration fee, but space is limited.